Marvellously expressive, this is an album where the music almost becomes secondary to the swirling and gentle atmosphere it weaves around itself. An intriguing mixture of electronics and guitars in open and other odd tunings, one imagines Nick Drake would dig this, up there in that Far Arden in the sky. My, that’s some compliment is it not? It is far too easy, not to mention lazy and indeed sadly commonplace for us amateur scribblers to get carried away, descriptively speaking. Too often you will see us bandy about adjectives like “incredible” and “amazing”, and apply these to music that if we actually took a step back and thought about it is anything but, and thus we cheapen their real meaning. These Roots Know No Boundaries is a very good debut album and its title is justifiably self-explanatory. Is it “incredible”? Well, only time will tell on that score, but for now some high praise is certainly justified. Originally conceived as a solo project by Manchester based guitarist and singer Mike McKnight who is a member of the occasionally mathy, intermittently ambient proggers Cyril Snear as an outlet for the more ruminative side of his musical personality, Sphelm soon became a duo with the addition of guitarist and keyboard player Tim Powell. This implied seemingly simplistic musical set up is anything but, as the many guest players allied to the duo’s ear for unusual arrangements and impressionistic lyrics create a whole that does indeed know no boundaries. The Nick Drake comparison came to mind during the masterful finger picking of Stillness, a song that highlights the folkier side of the duo’s muse. 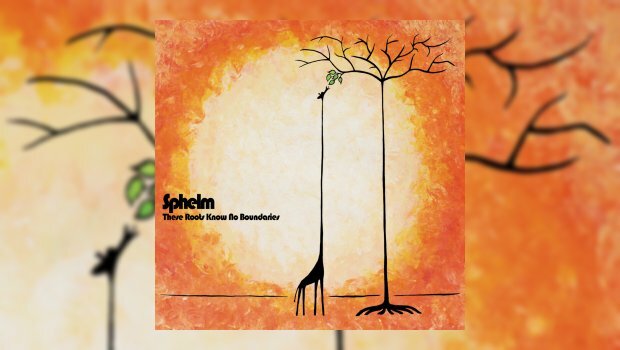 Much like the well-established folk-electronica group Tuung, Sphelm add to that traditional base much subtle modernity, both in lyrical style and musical soundscaping. Also in common with Tuung this duo have a similarly ambiguous name that unless you hail from a particular part of North Wales, like me you will initially have no clue as to its origins…I’ll leave it there! The name, much like the music is intended as impressionistic, and within these songs we have references to classic pop – I’m sure I heard a fleeting Beach Boys influence on Lingchi, that with its oddly light yet dense synthscape also put me in mind of post-everything songsmith Sam Healy and his solo project, the inestimably fabulous Sand. You will also find bottleneck guitar invoking Americana and ska trumpets on the otherworldly alt-pop of Acatalepsy, possibly my favourite tune on the record at this point in time. The duo are aided by a number of other singers and musicians (see line-up below), and the whole transports the listener to a calmer more reflective space. The sound on this record is superb, and for that we have to thank the duo and Ben Ward, who together have twiddled knobs to great effect and made a lovely warm sounding record, where on Crystal Catcher delicate acoustic picking dances above sonorously deep synths as sunlight would dance off the spray of a waterfall. A marriage of nature and technology made in Heaven…erm…what was I saying earlier about getting carried away with the superlative descriptions? Slapped wrist, my boy! You see, the thing is I can actually see myself playing this album for pleasure for some time to come, and that does not often occur nowadays, as I just manage to keep on top of all the music that demands my attention.